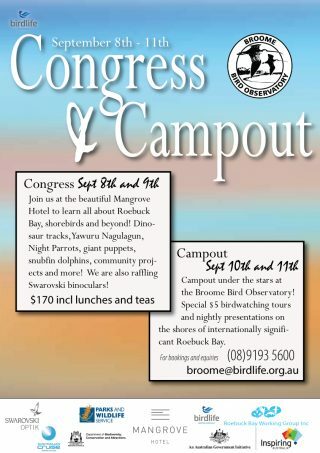 As part of the Broome Bird Observatory’s 30thanniversary celebrations, there is a wonderful event coming up that will be unashamedly, all about the southwest Kimberley coastal environment, but not solely about shorebirds. The majority of speakers will be local but there will also be some excellent visiting presenters as well. Please come and support the Broome Bird Observatory in their 30th year.